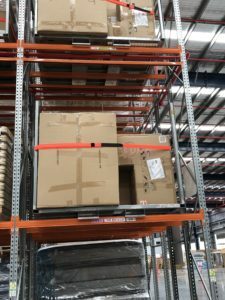 Amart Furniture, one of Australia’s leading independent furniture retailers, recently constructed a new national distribution centre, based in Rochedale, Brisbane, and commissioned Bremco Metal Products to design a custom racking solution. An important element of the internal warehouse storage construction was the development of standard pallet racking for stock storage. Custom racking solution Bremco designed for Amart Furniture. 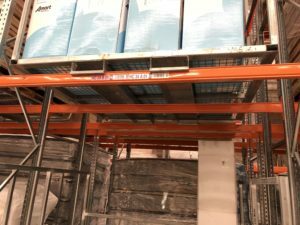 Although the pallet racking provided a structural storage framework, one design element missing from the shell pallet racking was frame support ‘shelving’ to load and store upholstery furniture on multiple levels. Brad Rogers, Amart Furniture’s Warehouse Operations Manager, approached Bremco Metal Products to custom design and manufacture custom racking mesh frames to hold large and awkward items such as lounges and armchairs, on the warehouse pallet racks. Bremco’s custom warehouse racking protects stock and improves efficiency. Amart Furniture placed an order for 3000 mesh frames, which Bremco was able to deliver in a short time frame. Bremco also offered a staggered delivery, to suit Amart Furniture’s installation time frame. Bremco is very proud of their ability to manufacture quality, Australian designed and made products to a large scale – quality for a large scale project – punch above weight. Contact Bremco today to find out how we can help you with your next custom fabrication project.